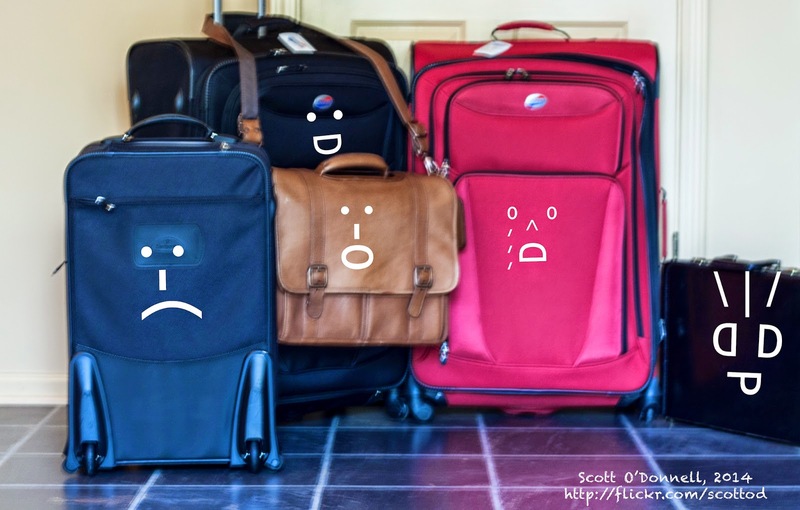 Adult learners come with a lot of baggage - and that’s an awesome thing - but it occasionally feels like some training ignores that baggage instead of embracing it. Our ideas of how people learn and how teachers should engage their students have changed over time. When I was in school, instruction was more lecture-based. Now, you would be hard pressed to find a K-12 class taught in that manner. “Facilitation,” “hands-on,” and “collaborative” are all words used to describe the 21st century classroom and are very much applicable to the on-the-job classroom as well. Robert Gagne knew what he was talking about long before classroom participation became a “thing” and this is reflected in Event #3 of his 9 Events of Instruction - Stimulating Recall of Prior Knowledge. For adult learners, especially those who come to the classroom with previous experience and valuable knowledge, the ability for them to share what they know gives them the freedom to make the training personal. The more personalized a training is, the more invested a learner will be. In case you haven’t noticed, people like to talk. After all, we are social creatures. You can use small group or whole group discussion to stimulate recall by asking learners to chat about a specific topic. For example, a training on Customer Service may ask learners to discuss poor customer service experiences they’ve had in the past. This information lays the groundwork for exactly what NOT to do. Sometimes you may have a training where talking isn’t the answer. Instead of having a discussion among the group, perhaps introspective conversation can take its place. For this, ask learners to contemplate an experience, idea, or question and have them write down their responses on paper (or electronically, if applicable.) For a class that has the potential to be vibrant and fast-paced, this activity will take out time to be slow and thoughtful. What you do with the written responses is up to you: read them aloud anonymously, use them to address specific concerns, or have learners draw responses and provide feedback. Remember the game of memory you used to play as a child? Trying to recall which card had the matching picture was only for fun. Games like memory, however, are just as important to learning as they are to having fun. Besides, when learners are having fun, they are more receptive to new information. For this reason, utilizing games during Event #3 is a great way to stimulate recall. Simple games such as word scrambles, quizlets, family feud, etc. will set the mood for learning and act as a jumping off point to facilitate discussion. Discussion can be a breeding ground for new concepts and ideas. Use discussion to allow participants the chance to share their knowledge. In many cases, even the trainer can stand to learn a new thing or two. While learners are sharing their wealth of information, as a trainer, you should take it all in and make mental notes of what the participants’ foundational knowledge is. If you follow the ADDIE process, you most likely did research on the needs of your participants. Even the most detailed research, however, cannot always prepare you for what learners will say. Use the information you gather from discussion participation to help tailor the next part of your training - Events #4-7: Presenting Information, Providing Guidance, Eliciting Performance, and Providing Feedback. Think about the last training you attended. If the trainer used Power Point or an equivalent, you probably saw a slide similar to the one below. Yep, those are objectives. Chances are, you don’t even remember the slide because it is usually the most boring of slides in the entire deck. The objectives, however, are one of the most important factors in training. This is precisely why Robert Gagne made “Informing Learners of Objectives” number two in his list of 9 Events of Instruction. I’ve written about objectives a lot on this blog and for good reason, they are difficult to master on paper and pretty tedious to communicate. A training void of objectives, though, leaves the learner feeling lost. you cover each objective during training. If, by the end of training and thereafter, the learner is not able to fully complete the objective, then you know that the training was not completely successful. The 9 Events of Instruction have a step for evaluating performance, so I won’t go into that quite yet, but it is important to point out that you can not measure success if no goals have been stated. Depending upon the subject matter, goals can be many or few. But the point of learning outcomes is that they should be specific. Vague objectives such as “the learner will know the stages of the reference interview” are hard to measure. The term “know” can mean understanding concepts as much as it can mean the ability to apply concepts. In training, the idea is that learners will apply concepts. With that being said, it is important to have objectives that are straightforward and easily measurable. Before you leave for a long trip, you always look at a map to see which direction you should take to get there. Objectives are the road map of a training - they tell the learner what to expect. If you don’t give the learner a road map to follow, then how will they know they have arrived? They won’t. But the thing about road maps is that we rarely concern ourselves with the small cities along the way, we pace ourselves by the big cities. Objectives can work the same way. Terminal objectives are the bigger picture - the big cities you pass along the way to your final destination. Terminal objectives state what the learner really wants to know. For example, in the picture above, these objectives are Terminal objectives in that they give the learner a road map of what the training will cover. They hit the big points, but leave out the minute details that may be too complex or boring for the learner to be engaged in. Both Terminal and Enabling objectives are needed for training development and planning, but the terminal objectives can be the presentation worthy bits that get included. For tips on creating great Power Point presentations, including making a memorable objective slide, I highly recommend this webinar from Training Magazine - 8 Great PowerPoint Presentation Tips to Save You From a Fate Worse than Death by PowerPoint.